Hi there. 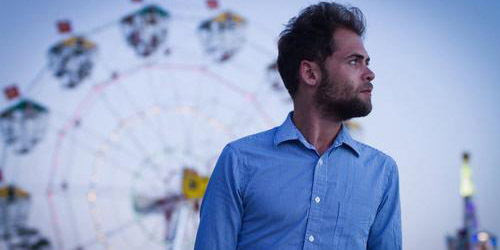 Passenger’s ‘All the Little Lights’ album has just pushed Timberlake off the No. 1 album spot on Australian iTunes. Full of great songs! Been following Passenger a couple of years & think he’s headed for (and deserves) huge success. Funded his albums through busking, and still busks for the love of it. Good to see another great review, though. Thanks. Hey Sue, thanks for the reply. The album is awesome and I can’t wait to see it top the charts here! Passenger is an amazing talent! Saw him a few months back opening for Ed Sheeran in Toronto and then he headlined his own tour with BC artist Joshua Hyslop. I think he is starting to gain some momentum in North America, of course his popularity is more obvious in Europe with all his festivals. His music is storytelling and art wrapped into a lovely package. I love finding artists before they breakout and I’m excited to see what happens with Passenger and hopes that he gets the recognition he truly deserves! All his albums are fantastic and it doesn’t hurt that I got to meet him! Hey Nicole! Very cool that you got to meet him. I’m hoping he has some U.S. dates during the summer or fall so that I can check him out live. Thanks for commenting. Please come to the USA. We are waiting for you. We love you too.